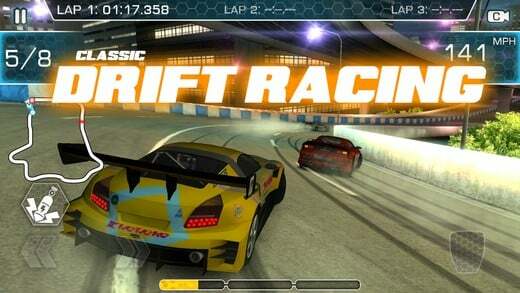 This week’s free app is the racing game Ridge Racer Slipstream. Normally it’s $3, but you can get it free from iTunes until Thursday, July 13th. This game is similar to other racing games we’ve covered like AG Drive. The hook here is the ability to “drift” popularized in movies like The Fast and the Furious: Tokyo Drift. The race scenes have backgrounds based in Japan. One feature I liked about the game is you can control with either the accelerometer or thumb controls. I’m always a fan of steering by moving the iPhone or iPad; I feel more involved in the game. The in-app purchases are what you’d expect from a racing game. 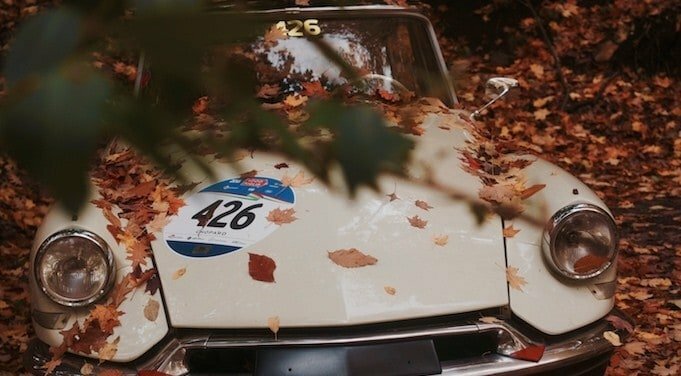 The more money you spend, the better car and features you get to win the race. Once you finish the included levels, you can buy more with other in-app purchases. Racing games always require a steady hand and good coordination. The included cars make it hard to win the race without purchasing upgrades, so I’d avoid this game if you have a desire to win at all costs. The game loads slowly even on my iPad Air 2 and iPhone SE. That’s probably due to the large graphics in the game. The game takes up a whopping 1.67GB. Yes, it is that big! 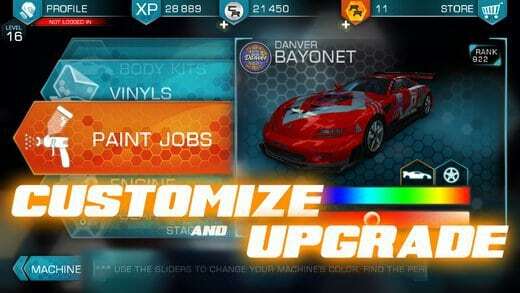 I’m not a fan of racing games and I know I’m unlikely to win without the upgrades. Given the game’s size, I could fit a ton of other things on my phone before I’d play this.